The Library of the Zoological Society of London houses ZSL’s archives which range from manuscript minutes to computer print-outs. Based in the Library of the Zoological Society of London (ZSL), the archives of ZSL are a range of records of interest to researchers into Zoo History. 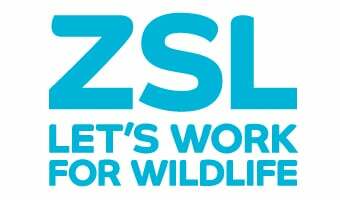 The majority of the records have been produced as a result of ZSL’s activities. The main use of the archives will be for the history of ZSL itself and the zoos it owns: London Zoo and Whipsnade Zoo; however there are other uses as varied as family history and studies of culture and society. - Minutes of Council. Dating from 1826 to the present, these are perhaps the most important of the records, as they detail the decision-making of the Council of Fellows that run the Society. - Minutes of the General Meetings. These are the Fellows’ AGMs. Daily Occurrences of London Zoo and Whipsnade. Completed daily, these list the arrivals and departures, births and deaths of animals at London Zoo and Whipsnade. Other details mentioned in some of the books are numbers of visitors and money taken, particular visitors, keepers absent, unwell animals, building works, temperatures in the animal houses, and weather. Staff cards. A very useful resource for people tracing ancestors that worked at ZSL. The cards cover all sorts of jobs at London Zoo, Whipsnade and the ZSL Main Offices, including zoo keepers, accountants, carpenters and librarians. 19th Century Letter Collection. These letters are mainly from Fellows to the Secretary of ZSL. Sadly, there are no replies. Authors include: Darwin, Abraham Bartlett, the Duke of Bedford, Wallace, and Barnum. Ephemera (or in this case perhaps ‘Zoophemera’). For example: London and Whipsnade Zoo guides, posters and leaflets, Music Hall songsheets. Non-ZSL donated items. Includes collections of letters from the Buckland family, Brian Hodgson and Joan Procter; also the papers of the Association of British Zoologists. There are, of course, many other types of records, including: medals, tickets, a keeper’s uniform, post-mortem books, menus, press-cuttings albums, charters, maps and plans. The Archives have not yet been fully catalogued, and so finding specific information can be time-consuming. A project to list the Archives is currently being carried out. It is free to use the Archives and Library; however an appointment needs to be made in advance so that archives can be retrieved. Proof of address and photo ID need to be shown unless the user is already a Fellow or Member of the Library or of ZSL. You can use the ZSL online library catalogue to view items currently listed. The catalogue lists books and artworks as well as archives, but the search can be narrowed to apply only to archival material. How do I search only for archives? Click the "Search Archives" link in the left-hand column of the initial search page, and this will narrow the search only to archives. Then type one or two keywords or names into the Simple Search. This should produce a list of archives; just click the link to be taken to the full description. What do I need to make a note of? Please write down the Reference, e.g. GB 0814 GAAN. Yes, just bring along proof of address and photo ID (this is essential). Please tell us when you are coming in advance, as the Archivist may not be available. Can I use ink pens or biros next to the archives? Can I photocopy or scan the archives? The archives cannot be photocopied or scanned as they may be damaged by light. With the Archivist's permission you can use a camera (without a flash) to take pictures of archives only (not books). You must also sign a copyright form first. If you would like to use the archives, or have something to offer to us, please contact the archivist, Sarah Broadhurst, at library@zsl.org . Please make an appointment in advance of your visit. It is essential to bring proof of address and photo ID.